Jayhawk Marina, located on the lake inside Hillsdale State Park, Miami County, Kansas, just 10 minutes south of the KC Metro area, is a new convenience to nearly 2 million visitors each year. The marina is the only “on-site” location for boat and personal watercraft slip rentals, storage, fuel, boat rentals and convenience items. The relaxed atmosphere is a safe harbor for an active day at the lake. 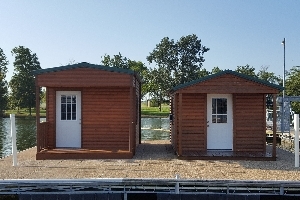 Jayhawk Marina is an upscale, clean professional facility that provides visitors with a wide range of service and products for your camping, boating, fishing, and water recreation enjoyment. 1 Review for Jayhawk Marina, Inc. 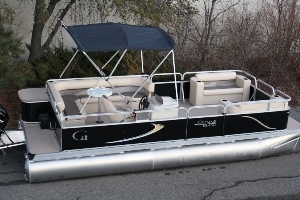 Designed for comfort, you and 9 of your guests (any age) can enjoy an afternoon on Hillsdale Lake aboard our luxurious 2018 Grand Island 20 foot pontoon boat. 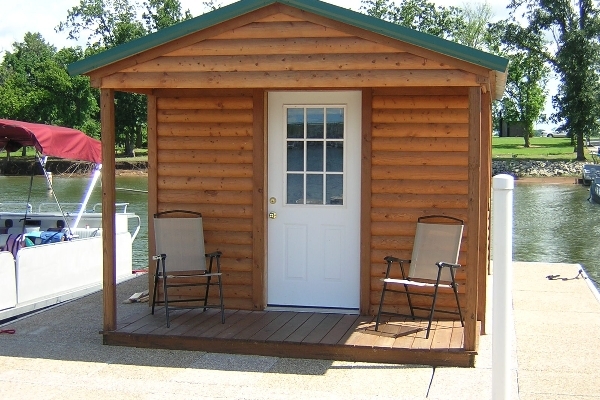 Cabin is located right here on the docks. Rental includes a boat slip located by the cabin to keep your boat. Cabin accommodates four people comfortably. 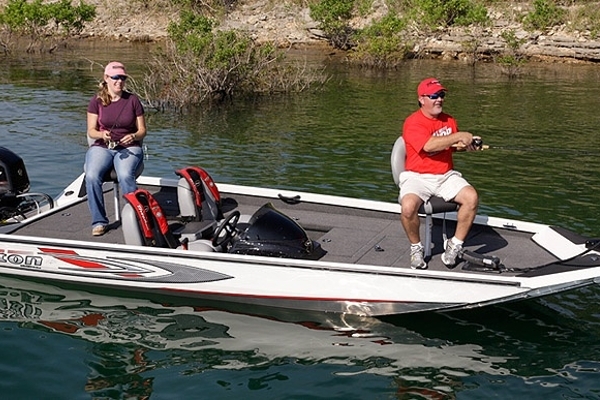 Designed for fishing, you and up to 3 guests (any age) can enjoy an afternoon on Hillsdale Lake aboard our Triton Aluminum Fishing Boat. Jayhawk Marina offers family and friends unbelievable boating and personal watercraft experiences. Tour the lake, fish or just play on the water. Drop an anchor, sit back, relax, fish or swim. We have activities to suit any interest. 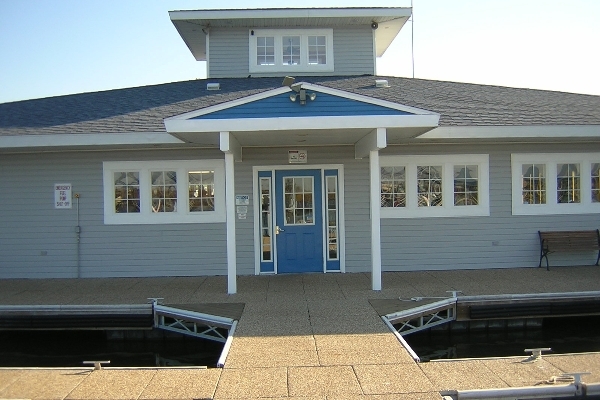 At Jayhawk Marina, we have rentals available by half-day and full day. Visit our full size convenience store offering a wide variety of products including boat rentals, live and packaged bait, fishing supplies, camping and RV supplies, fuel, boat accessories, water sports equipment and many other services and products to meet your camping and water recreation needs. Acknowledgment of Risks: I/Renter acknowledge that the following describes some, but not all, of the risks: 1) Changing water conditions, wave action and other water craft wakes; 2) Collision with any of the following: the water craft upon which I am the operator or passenger, other participants, other water craft, and man made or natural objects; 3) Wind shear, inclement weather, lightening, variances and extremes of wind, weather and temperature; 4) My sense of balance, physical coordination, ability to operate equipment, swim and/or follow directions; 5) Collision, capsizing, sinking or other hazard which results in wetness, injury, exposure to the elements, hypothermia, and/or drowning; 6) Getting in or out of the water craft; 7) Equipment failure or equipment failure due to operator error, and operator error; 8) Heat or sun related injuries or illnesses including sunburn, sunstroke, or dehydration; 9) Fatigue, chill and/or dizziness, which may diminish reaction time and increase the risk of an accident. Express Assumption of Risks and Responsibility: Renter agrees to assume responsibility for the risks identified herein and those risks not specifically identified. Renter verifies that he/she is physically fit, not under the influence of alcohol or drugs at this time, and is sufficiently qualified, trained and capable to participate in these activities. Therefore, Renter assumes full responsibility for Renter, including any minor children for which Renter is responsible, for bodily injury, accidents, illness, death, loss of personal property, and expenses thereof as a result of any accident that may occur. Renter and guests elect to participate in spite of the risks. Renter is responsible for protecting skin and eyes from the elements. Renter assumes the risks of personal injury, accidents and/or illness, including but not limited to sprains, torn muscles and/or ligaments; fractured or broken bones; eye damage; cuts, wounds, scrapes, abrasions and/or contusions; dehydration, drowning, oxygen shortage, and/or exposure; head, neck, and/or spinal injuries; bite or attack by animal, insect or marine life; allergic reaction; shock, paralysis or death. Authorization: Renter hereby authorizes any medical treatment deemed necessary in the event of any injury while participating in the activity. Renter either has appropriate insurance or, in its absence, agrees to pay all costs of rescue and/or medical services as may be incurred on Renter’s behalf. Renter agrees that any film or photographs of Renter and participants becomes Jayhawk Marina’s property and may be used for promotional or commercial purposes. Release: In consideration of services or property provided, I/ Renter and any minor children for which Renter is a parent, legal guardian or otherwise responsible, any heirs, personal representatives or assigns, agree that: Jayhawk Marina, its principals, directors, officers, agents, employees and volunteers, their insurers and each and every land-owner, municipal and/or governmental agency upon whose property and activity is conducted and their insurers, if any, shall have no liability of any nature for any and all damage to Renter and other persons or properties as a result of any acts, omissions or negligence of Jayhawk Marina or any other person (including Renter) or entity and I/ Renter hereby release and discharge Jayhawk Marina and insurer, if any, for any such damage. Security/Damage Deposits: Renter will deposit with Jayhawk Marina a security deposit in the amount determined by Jayhawk Marina. Renter agrees that this deposit shall be for the use of Jayhawk Marina. This security deposit may be applied to satisfy any obligations of Renter but neither the making of this security deposit or the use thereof by Jayhawk Marina, shall excuse the Renter from the performance of any such obligation. In case of damage where the cost of which is not immediately ascertainable the security deposit shall be retained and any portion of this deposit that has not been applied by Jayhawk Marina shall be returned to the Renter within 15 days of the termination of this agreement. Inventory and Redelivery: Inventory of equipment and supplies shall be furnished by Jayhawk Marina to the Renter at the time of delivery and the Renter agrees and acknowledges by acceptance of delivery that such inventory is correct and that Renter has inspected the watercraft, equipment and supplies and has found no defects except those noted in writing at the time of acceptance of delivery. Renter shall be responsible for payment of damaged or missing items. The Renter hereby agrees to pay all charges incidental to the use of the watercraft during the use period. The Renter shall keep the watercraft in good running condition and in the same condition as when received from Jayhawk Marina. 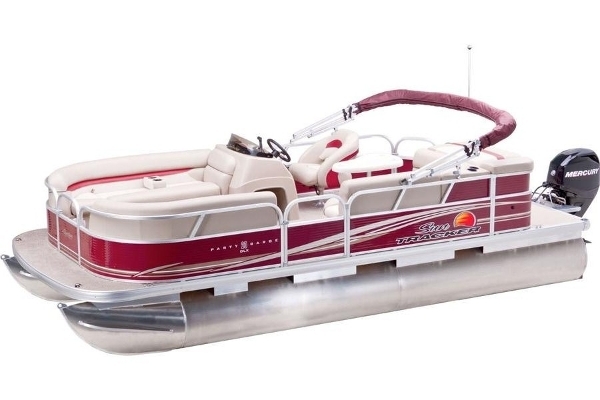 The Renter agrees to surrender the watercraft at the expiration of Renter’s period of use or earlier in as good as condition and in as clean as condition as when delivery was taken. The Renter is responsible for allowing sufficient time for unforeseen contingencies to permit Renter to return at the stated time. A late charge equal to $50 every one half-hour or portion thereof will be assessed for any watercraft returning after the said and agreed upon time specified on the watercraft check in/out sheet which is part of this agreement. Kansas Boating Laws apply and are the responsibility of the Renter and/or operator(s). RENTER AGREES THAT HE OR SHE HAS READ AND UNDERSTANDS ALL OF THE ABOVE TERMS AND CONDITIONS AND AGREES TO INDEMNIFY AND HOLD HARMLESS JAYHAWK MARINA, INC., FOR ALL DAMAGES IT SUSTAINS AS A RESULT OF THEIR VIOLATION BY THE RENTER OR RENTER’S GUESTS.